There's still one week left to get your paws inky! Samantha Mann created this super fun birthday card inspired by our fun diagonal sketch. 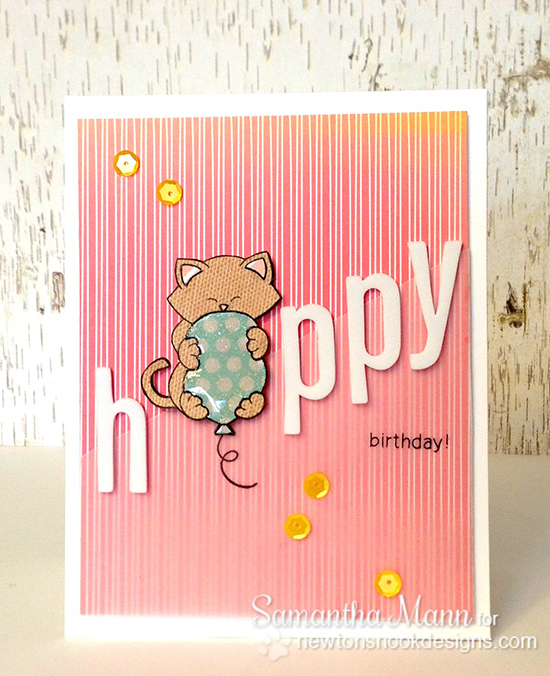 She used our favorite feline from the Newton's Birthday Bash stamp set along with some letters on a diagonal. What a cute idea - I never would have thought to interpret the sketch that way!! Wouldn't you love to get this card in the mail for your birthday? For full details and to see what else she's up to make sure to visit Samantha's blog Sam's Scrap Candy. I hope this cute card has inspired you to play along! Remember, you have until next Friday, March 11th, 2014 to enter. 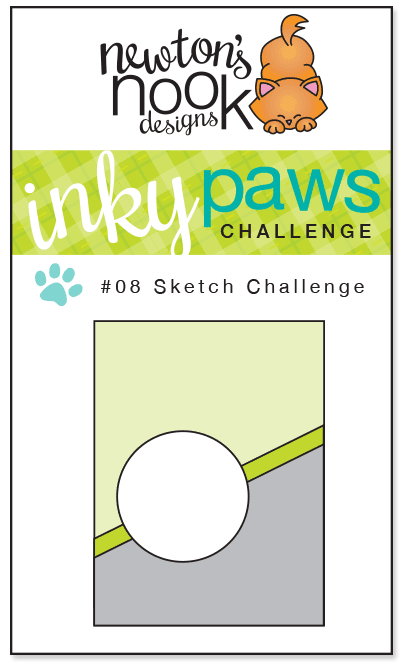 There's a prize involved too, so don't delay - check out our inky paws challenge page for details! Fun card...love the way Samantha used the sketch. Darling! Love your shiny balloon! That is all just too dang clever! Very nice layout, the vellum is such a nice, soft touch, the yellow with the pink is gorgeous, and kitty is adorable with the papers!